Windstar Cruises’ partnership with the James Beard Foundation tempts cruisers to explore more. See why Princess Cruises® always earns top honors across the globe. Destination focused. Culturally enriching. Carefully curated. Unlimited excursions and rich onboard programming unlock a world of flavor with Regent Seven Seas Cruises®. Crystal River Cruises™ elevates your journey along Europe’s waterways. Hurtigruten ushers in a new era of environmentally conscious cruising on state-of-the-art expedition ships. From Rome to Los Angeles, we’ve handpicked the world’s most magnificent hotels to make your stay spectacular. 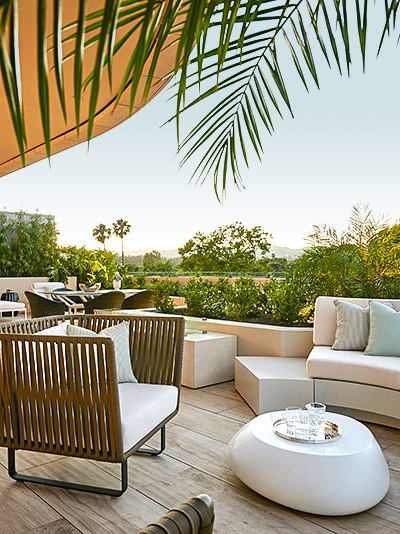 Imagine stepping onto the balcony of your luxurious London hotel to catch sight of Royal Green Park, or picture being within a stone’s throw of the world-famous Rodeo Drive in Beverly Hills. When we’re entrusted with selecting your hotel for your world travels, we make sure each of the more than 1,000 hotels in our portfolio is properly vetted for the best experiences. With us, you’ll receive exclusive benefits such as complimentary Wi-Fi, a spa or dining credit, and early check-in and check-out. Reserve a participating suite, and those perks are amplified even further. Keep reading to discover our exclusive privileges and limited-time offers. Independent, award-winning and one of a kind, the Athenaeum retains its crown as London’s foremost family-run five-star hotel. 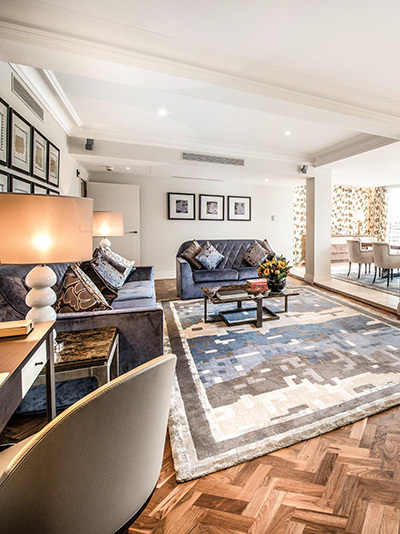 Following a recent refurbishment, the stunning new rooms have been designed to give you a real sense of the hotel’s spectacular location, opposite Royal Green Park in the heart of London’s Mayfair. 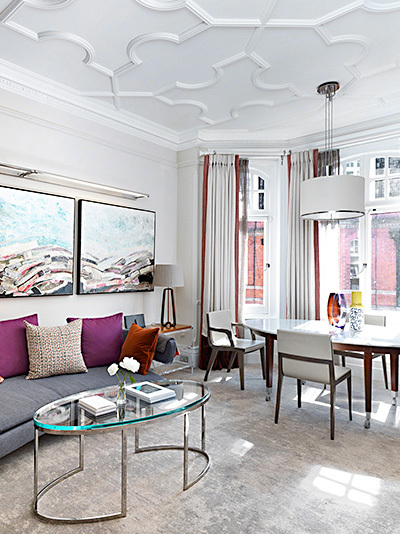 The new townhouse Residences offers a five-star home away from home that effortlessly brings together period charm and contemporary style. Look at London differently. *Restrictions may apply. Click the Learn More button for details. 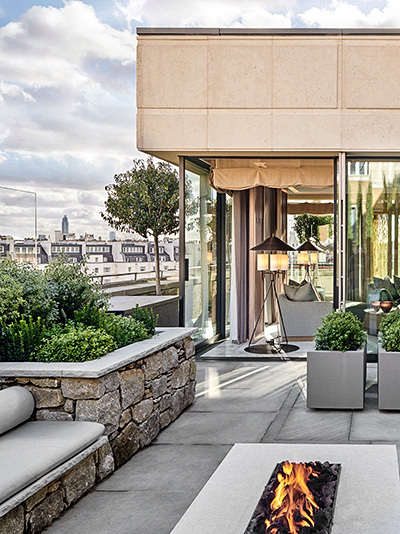 When it comes to five-star hotels in London, The Berkeley is truly special. With stunning interiors by A-list designers, afternoon tea with a twist and service that raises a smile, everything about this luxury hotel is refreshingly different. And if you feel like exploring the neighborhood, all the boutiques and treats of Knightsbridge and Belgravia are at your doorstep. Discover contemporary Catalan design fusing high style with classic luxury. Mandarin Oriental, Barcelona enjoys a stunning setting in the heart of the city. 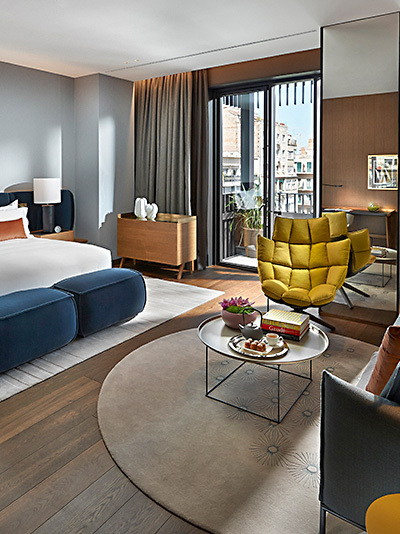 With chic contemporary interiors, a choice of enticing indoor and outdoor spaces, exquisite dining and one of the best spas in the Catalan capital, this is an extraordinary hotel experience. Located in the heart of London, with elegant Mayfair to the west and creative Soho to the east, Hotel Café Royal is perfectly positioned within walking distance of London’s finest shopping streets, tourist attractions and theaterland. 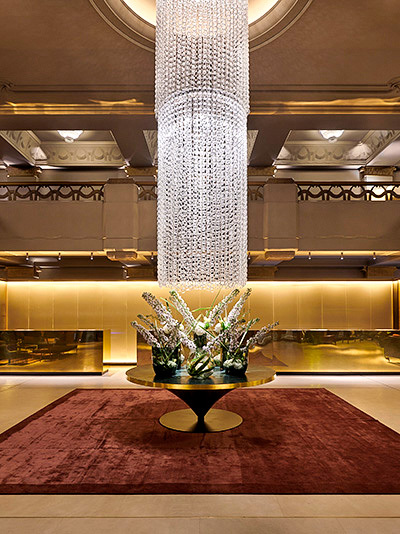 Adding more jewels to its crown, the 160-room hotel has recently unveiled its new lobby and new restaurant Laurent at Café Royal, both designed by world-renowned architect and interior designer Piero Lissoni. In addition, guests can indulge in award-winning afternoon tea in the Oscar Wilde Lounge, enjoy cocktails in two different bars, or relax and unwind in the Akasha Holistic Wellbeing Centre. Over the years, Gstaad Palace has earned an unrivaled reputation for discreet, refined hospitality and has always welcomed the most discerning international clientele. Set on a hill overlooking Gstaad, the resort is privileged to offer a breathtaking view of the majestic Swiss Alps. The 90 tastefully decorated suites and rooms include 55 Double Rooms, 15 Junior Suites and 12 Suites, including two Tower Suites and the most luxurious and sophisticated three-bedroom Penthouse Suite ever built in an Alpine resort. All guests enjoy buffet breakfast at Le Grand Restaurant daily. Waldorf Astoria Beverly Hills draws its inspiration from the natural surroundings that make Los Angeles so inviting. A remarkable urban respite perfectly centered in the heart of Beverly Hills, Waldorf Astoria Beverly Hills epitomizes the pampered and comfortable ease of the finest Californian lifestyle. This hotel embodies the essence of Mayfair, situated in the heart of London’s most exclusive fashion and boutique district. It is the only hotel located on Bond Street, a stone’s throw away from cultural treasures, shopping, theaters and London’s commercial center. If there exists a more indulgent place to unwind, we have yet to find it. Enjoy miles of powdery white-sand beaches, two championship golf courses, a world-class spa, endless water sports and award-winning cuisine — all overlooking the magnificent Caribbean. 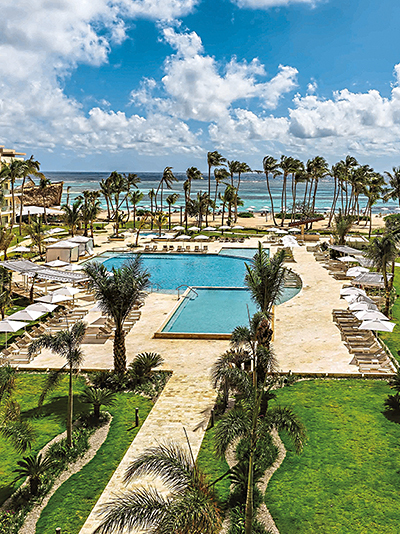 Welcome to the Westin Puntacana Resort & Club, located in the Playa Blanca area of the Puntacana Resort & Club, a 200-room property with spectacular ocean views located within a 26-square-mile slice of paradise, just five minutes away from the Punta Cana International Airport. 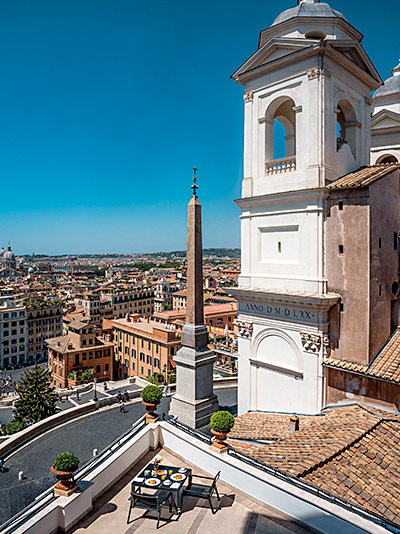 One of the most prestigious hotels in the world, owned and managed by Mr. Roberto E. Wirth, is located at the top of the famous Spanish Steps in the heart of Rome. Elegance, style and the highest quality of service have made the Hassler the very symbol of international hospitality. In addition to its 91 rooms and suites, the Michelin-starred panoramic restaurant Imàgo offers a breathtaking view over the city. When you book with us, not only do you receive exclusive benefits, we also meticulously select your hotel based on what inspires you, ensuring every night is extraordinary. Call us today to get started.